Does a new week call for a new bundle? Absolutely! And this week, you’re in for a treat. 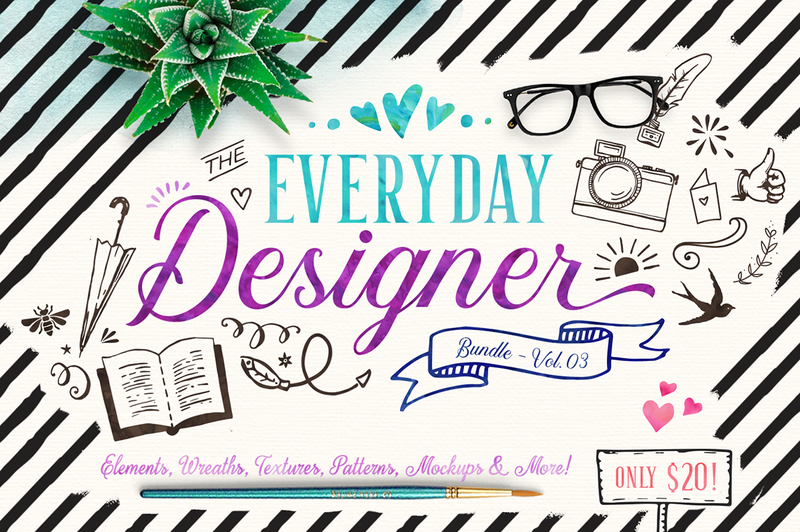 Back by popular demand, we bring you The Everyday Designer Bundle Vol. 03! WHY WE LOVE THIS BUNDLE? 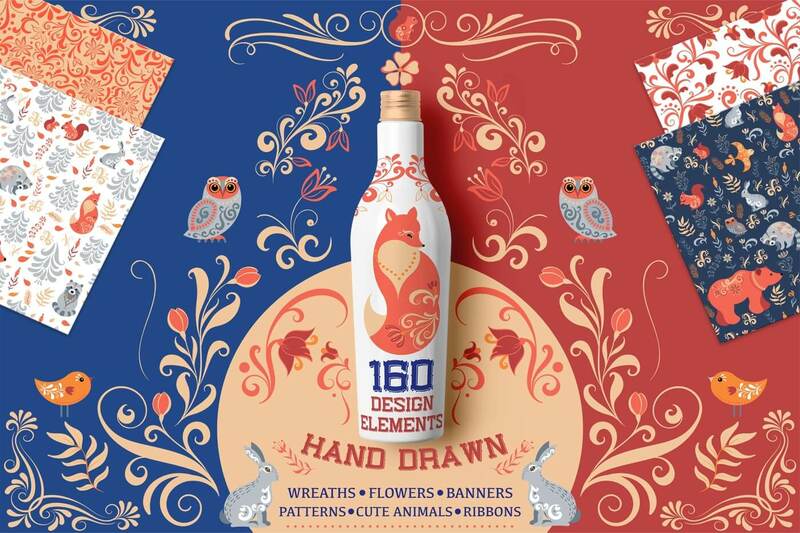 It has an extensive range of 18 Graphic Sets that are perfect for mixing and matching so you can create something uniquely yours! From logo kits to doodle packs and all kinds of ribbons, it’s certain that this bundle has something for everyone! All this, worth $295 on any other day but for a limited time, you get this bundle at $20 only! Check out 9 of our top picks down below. They’re must-haves for any designer! This toolkit comprises of elements that are versatile and compatible with many themes and concepts. 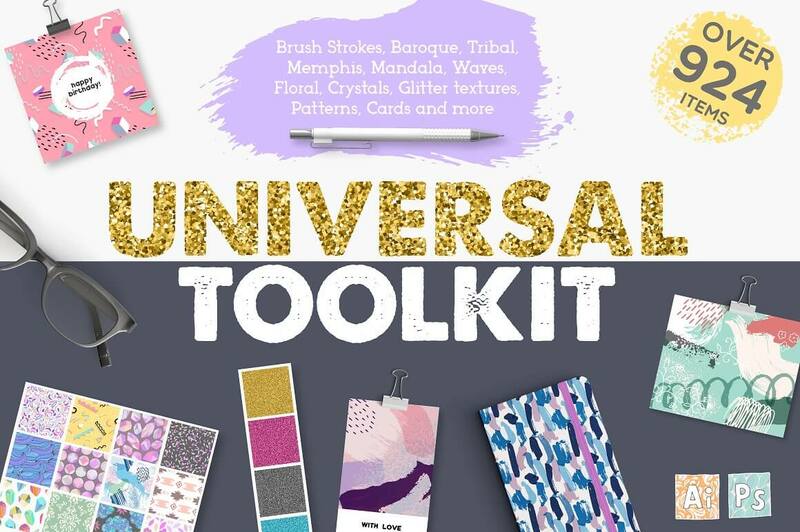 The Universal Toolkit makes it to the top of our must-have list from this Everyday Designer Bundle. 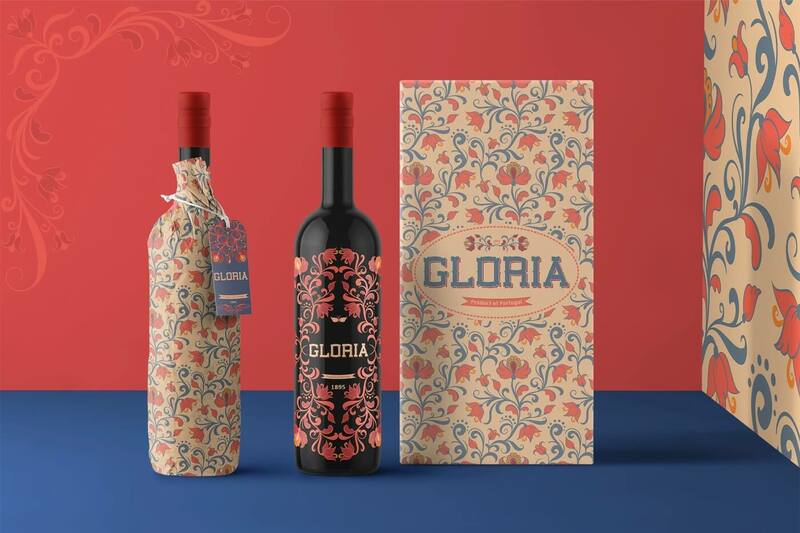 Various seamless patterns, textures, doodles, and mockups in this extensive kit! Freshen up your creative content with these on-trend textures and the assortment of patterns! They’re perfect for adding a splash of color to your website, social media or blog. These elements are also great to customize your stationery! 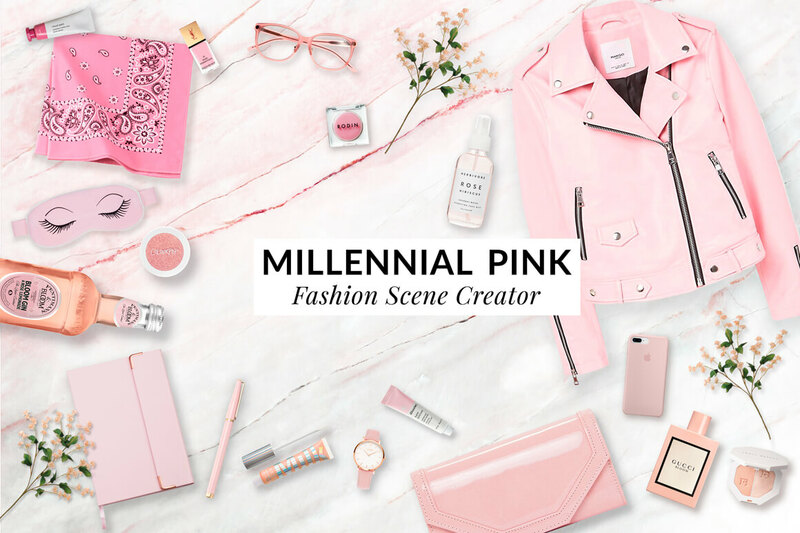 Need to customize your scene with a dash of pink for some diva vibes? You’ll find what you need from this set. The graphics from this kit includes 20 pretty items in soft pink that will go especially well in women’s fashion-themed projects. Moreover, they can be moved and arranged however you like, to help you create that perfect flat lay. This kit packs high-quality images of modern everyday office items. The realistic drop shadows on the individual items against the light marble background are great for the presentation of a contemporary work scene. We love the bright greens and cute succulents help add a breath of fresh air that will elevate any corporate themed content. 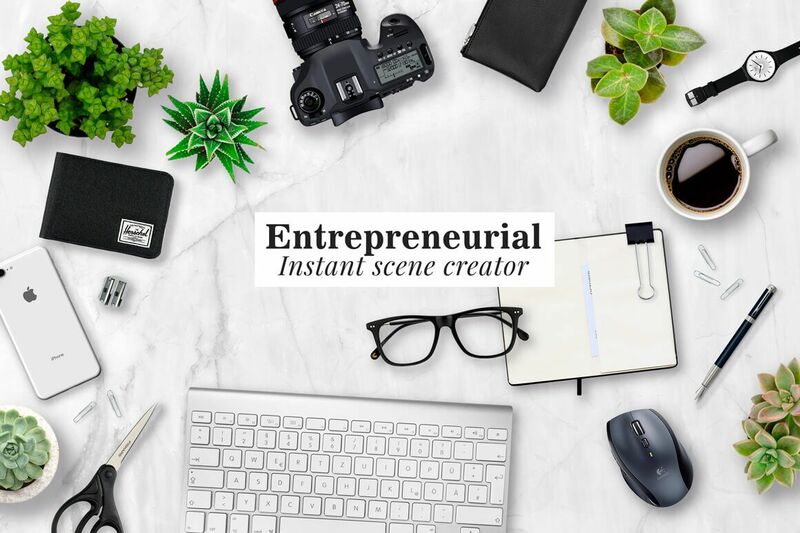 Perfect to use as product mockups, for websites, social media posts for both business owners and bloggers alike! 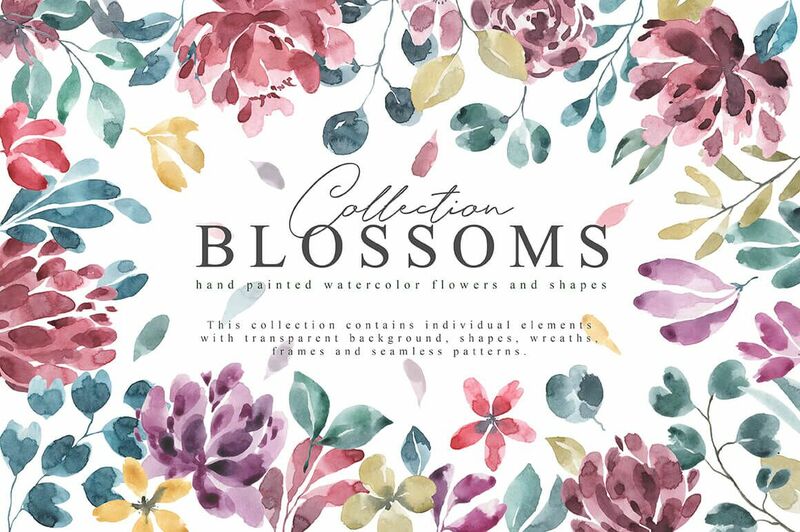 Lovely hand drawn nature-themed elements of individual flowers and trees, banners, seamless patterns, floral wreaths and ribbons, all in this set! You’ll get varied combinations of swirly patterns incorporated with blossoms that you can use to beautify any project with a unique feminine touch. Creating a business logo can be a headache, but not anymore with this awesome logo creation kit! It includes various editable templates that are ready to use! With many possible combinations, you can create a logo that communicates your brand and identity effortlessly! They come with ready-made templates and layouts for quotes, greeting cards, and banners too! 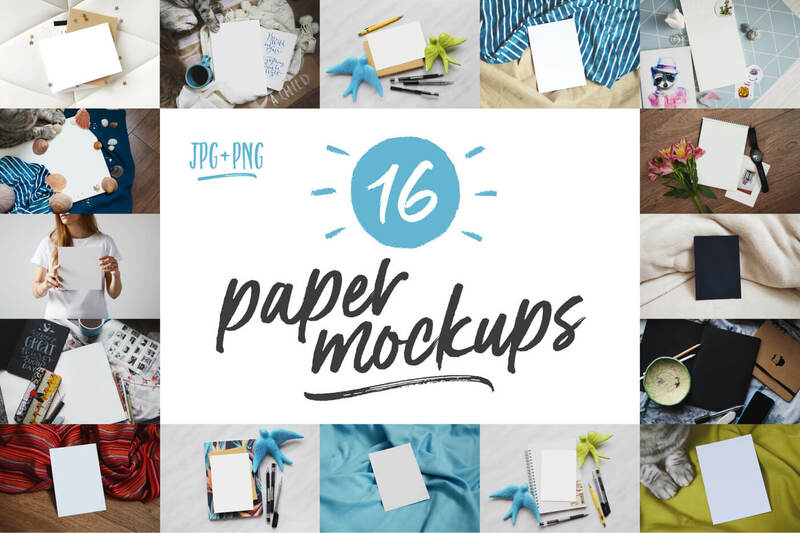 You’ve already taken time to create your typography masterpiece, why not showcase it with these stylish paper mockups? Add fun quotes and phrases in your favorite fonts to these mockups to make a statement! This kit is perfect for any project targeting a male audience, like banners for hipster barbershops or posters for happy hour promotions at the local pub downtown. Add a masculine edge to your branding with these rugged, vintage elements in this kit! 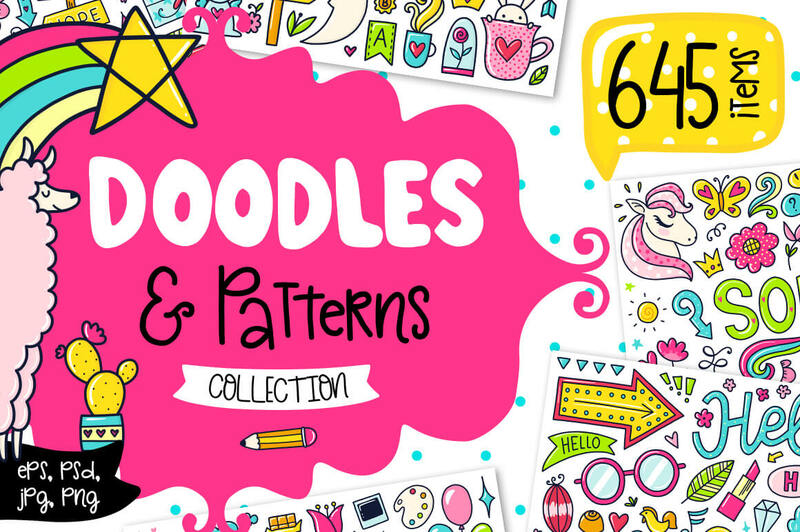 A whopping total of 645 lighthearted Doodles and Patterns! This clip art set has colored doodle elements, black decor elements, both colored and monochrome seamless patterns to add some cheer to any project! 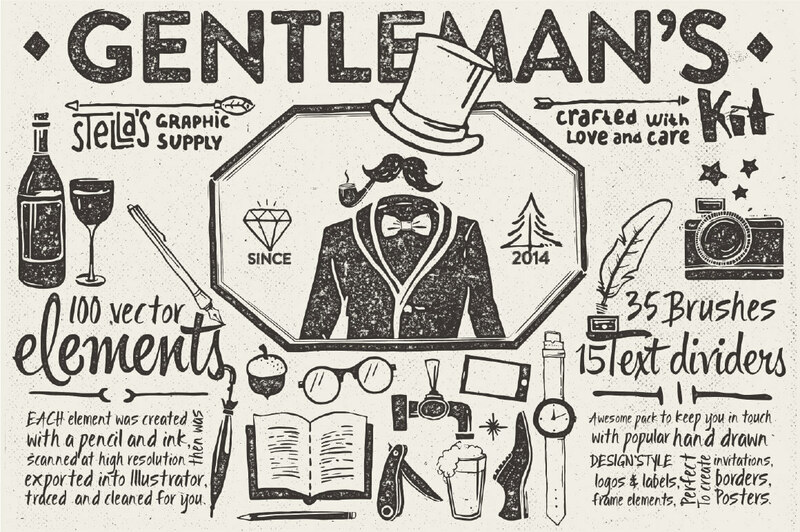 All these versatile elements and MORE in The Everyday Designer Bundle Vol. 03, that are easily adaptable for some extra oomph in any of your projects! Want more bundles like this one? At TheHungryJPEG.com, we bring you weekly graphics and font bundles every Monday. That’s right, weekly! Premium graphic designs handpicked fonts and extras to add to your creative toolkit at a steal. So, stay tuned!